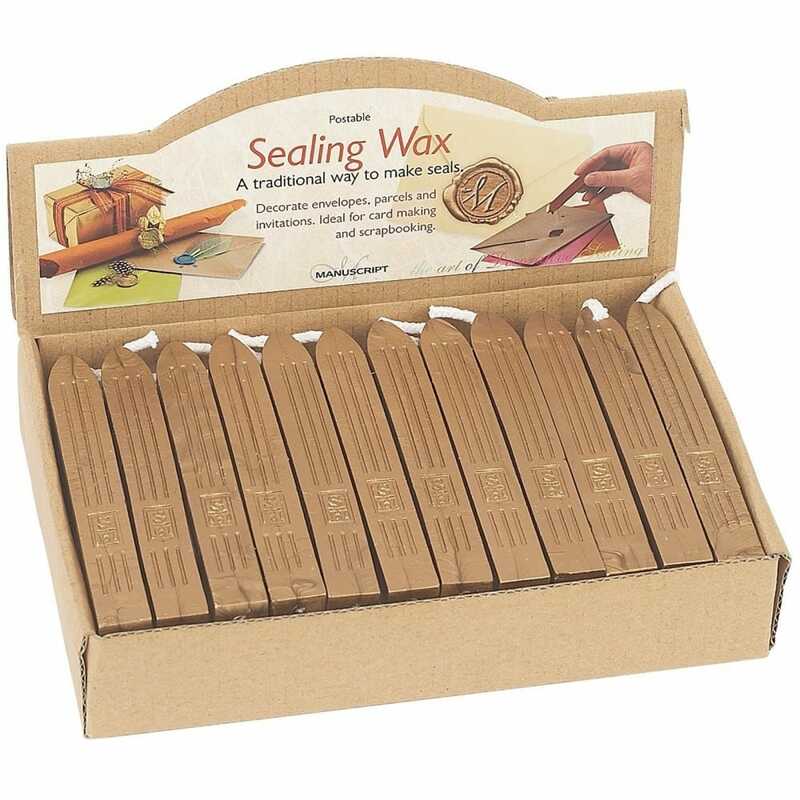 A traditional way to add a wax seal to your scrapbooks, letters, certificates and more, it is suitable to be mailed and will withstand automated postal systems without cracking or breaking. Simply light the wick and allow the wax to drip down onto your paper before applying the seal, each stick incorporates a wick to make melting and application easy. 1 x gold sealing wax.